How to use my brazed plate heat exchanger?? I’ve got this lovely Alfa laval Ac-70x-62m brazed plate heat exchanger. Snagged it for a “cool” $150 and it looks like it’s barely ever seen use. 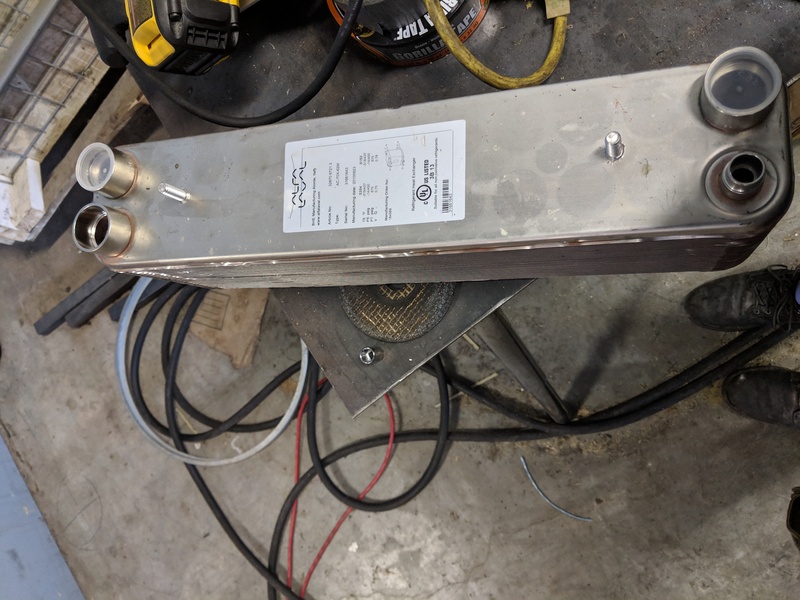 I was thinking about making a little falling film evaporator (I hate my rotavap) for ethanol, and was curious if anyone had used these brazed plates before. My first and easiest thought was just to use cold water in and out and call it a day. But I realized it’s built for refrigerants, and was curious if there’s a more self contained setup that might be worth building? Maybe dissasembling an old freezer or something? I have the capacity to build a co2 expansion system for it, but it’s wayyyy overkill for my smaller needs at the moment. Have you done any load calcs to see how many btu of cooling capacity you might need? Would be interesting to see a cheap 240v 2 ton window AC modified to use that exchanger as the evaporator coil. Not much BTUs, probably want to evap 4L/h of ethanol? Interesting… I’m pretty much just wanting to be able to plug in my heater, plug in my cooler, and call it a day. While not dealing with the wildly annoying stuff about a rotovap. Sound like that might work perfectly. Well I just need something around here to evaporate off my stuff after winterizing, plus something to run 1-2lb test batches before throwing the stuff in the oven. are you building a pot still? what will you use to evap the etoh from the tincture? put vapor in one port, and counterflow water in the other side. liquid ethanol should come out. ^^ This. Or chiller fluid instead of water. Plate type exchangers are ideal for condensers. Is there any concern with the brazing interacting with the gin like the problems with copper? Or is this just for proofing?